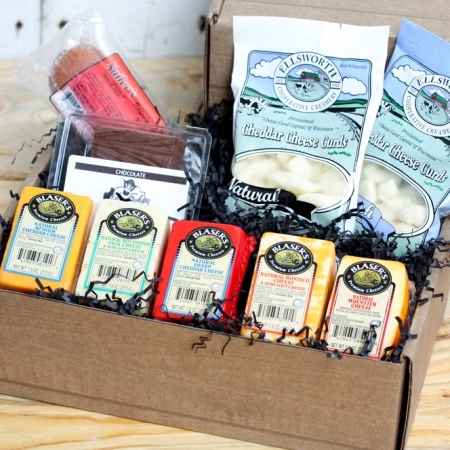 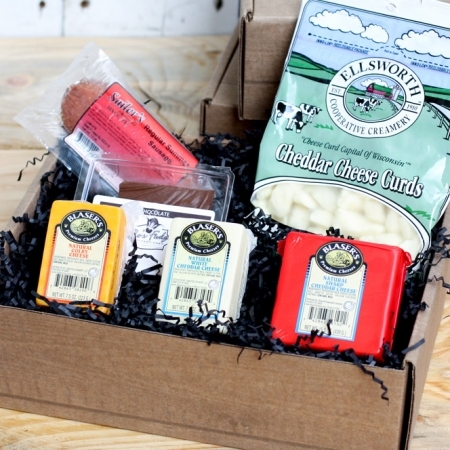 We’ve selected our favorite artisan cheeses and our best-selling cheese curd flavors for this specialty box. 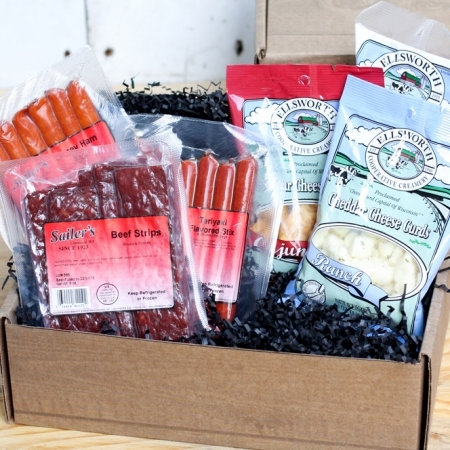 A great option for a special group, family or corporate gift. 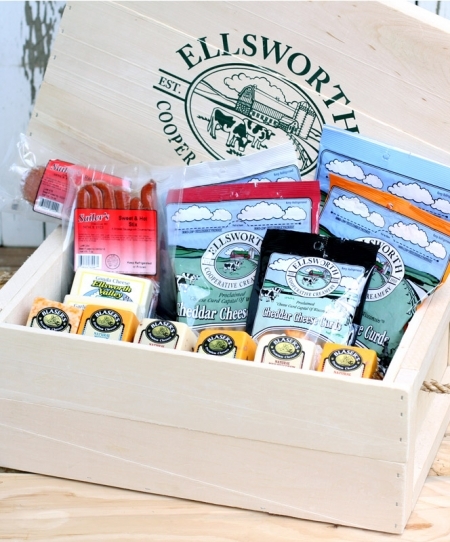 Medium-sized wooden crate with rope handles, complete with a wooden cover branded with the Ellsworth Cooperative Creamery emblem, is useful and decorative, making this a memorable gift even after the cheese is gone. 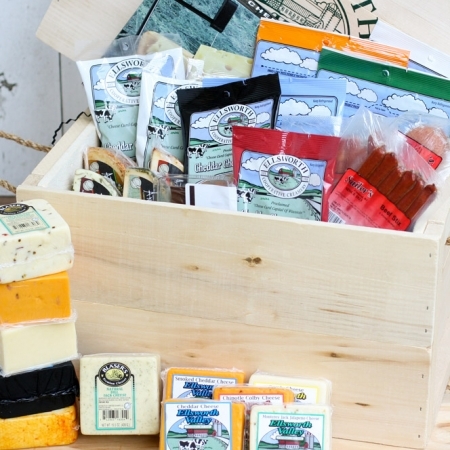 A gift of Wisconsin cheese is the one-size-fits-all gift.